If you’re trying to grow out your natural nails, then you want them to always look their best. Good news: It doesn’t take much to make them look white and bright. Here are a few quick tricks to make your nails (toenails and fingernails) look whiter… and healthier! 1. Use an old toothbrush to clean your nails with some whitening toothpaste. Rinse and repeat. 2. Soak a cotton ball with 3% hydrogen peroxide. Rub it onto your nails, then let dry. 3. Dissolve a tablet or two of denture cleaner into a small bowl of water. Then, soak your nails for about five minutes. 4. Mix 1 tablespoon of 3% hydrogen peroxide and 2-1/2 tablespoons of baking soda in a small bowl. (This will be paste-like in consistency.) Then use a cotton swab to press some of the mixture firmly under the tip of each nail and across the tops of each nail. Keep this mixture on your nails for 3 minutes, then rinse. 5. Lemon acts as an astringent and will strip away stains from your nails. Simply rub a slice of lemon directly underneath and on top of your nails. Or, soak your nails in water combined with lemon juice or lemon slices. 6. Use a white pencil underneath the nail tip. If you wear polish on your nails much of the time, to prevent the color from staining the top layers of the nail, be sure to use a good base coat first — underneath the colored polish. 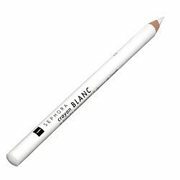 TIP: With a nail base, the color will be longer-lasting and more resistant to chipping! Why it’s great: The simplest way to make your nails look whiter than they really are… fast! 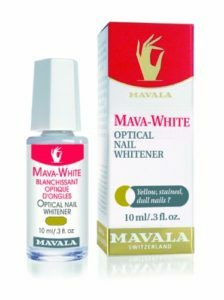 Why it’s great: It’s a great topical application that will whiten your nails in no time! It’s similar to using a nail scrub with bleach, but gentler. Why it’s great: Check excellent reviews & comments! Why it’s great: You get cleaner, whiter, and protected nails in just 3 minutes! 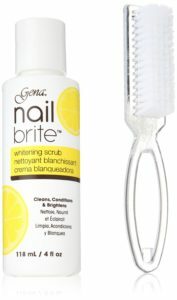 Compare that to other instant manicure products. If you like the French manicure look on your toes as well, then simply paint the tips of your toenails with white nail polish. First, apply a white nail polish on top. Then, cover with a coat of clear nail polish on the top and bottom of the nail. Bourjois French Manicure Polish. Bourjois is top-of-the-line when it comes to nail products!